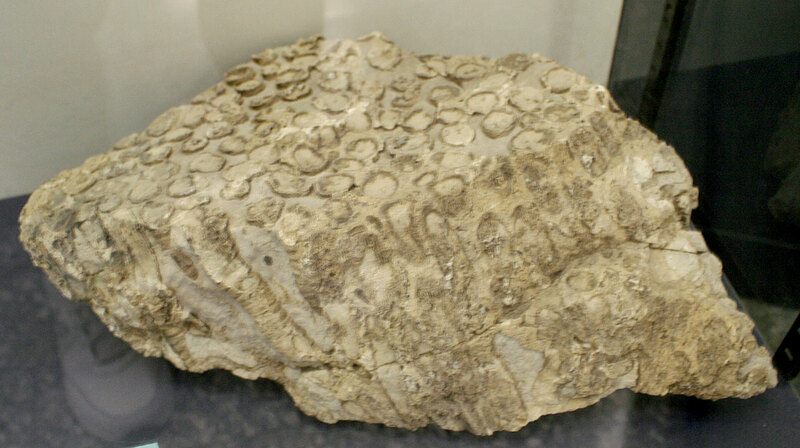 This image is of a Calamoseris coral fossil. 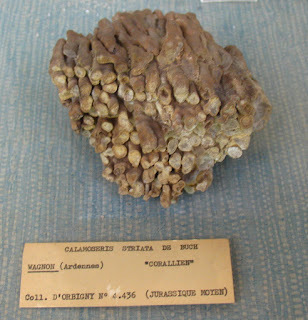 It was found in Wagnon Ardennes France. 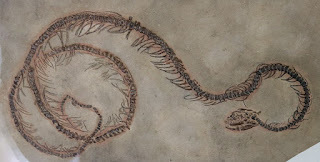 The fossil dates to the Middle Jurassic Period. 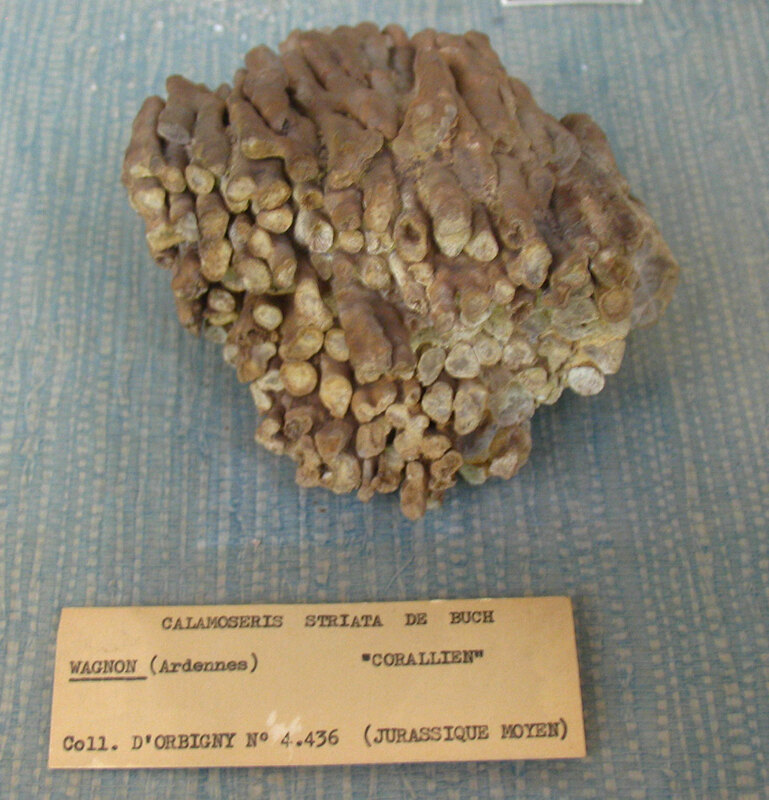 It was displayed at Muséum National D'Historie Naturelle Jardin Des Plantes Paléontologie et Anatomie Comparée, Paris, France. Image taken 2009. 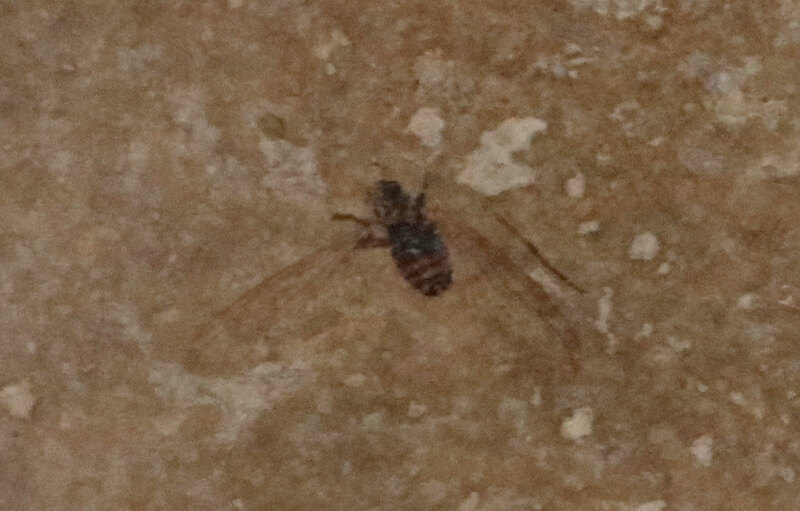 Plecia sp. 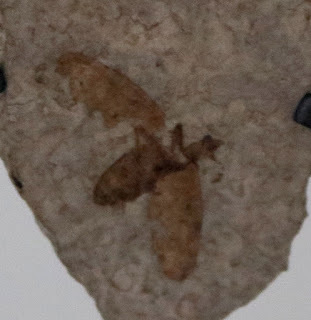 fly fossils ("twist fly") displayed at the American Museum of Natural History in New York City, USA. 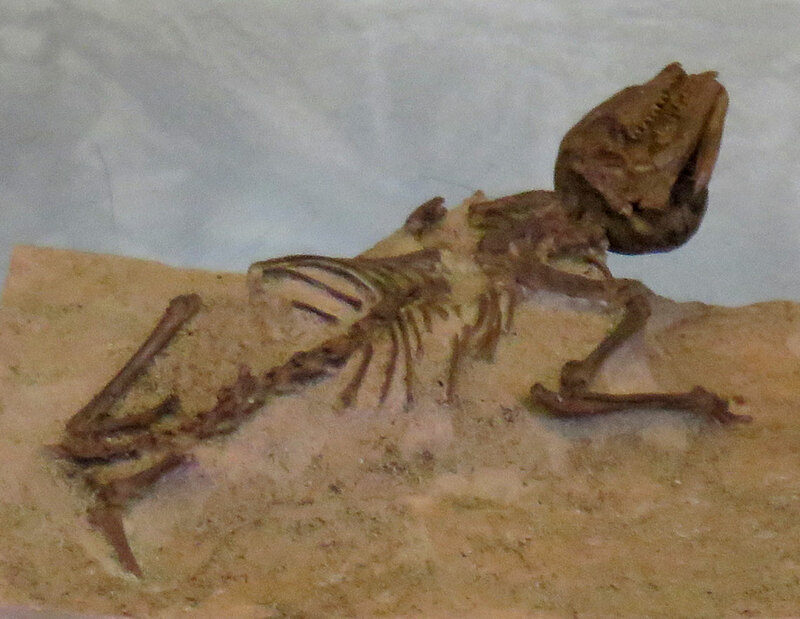 They were found in White Mountain Wyoming, USA. 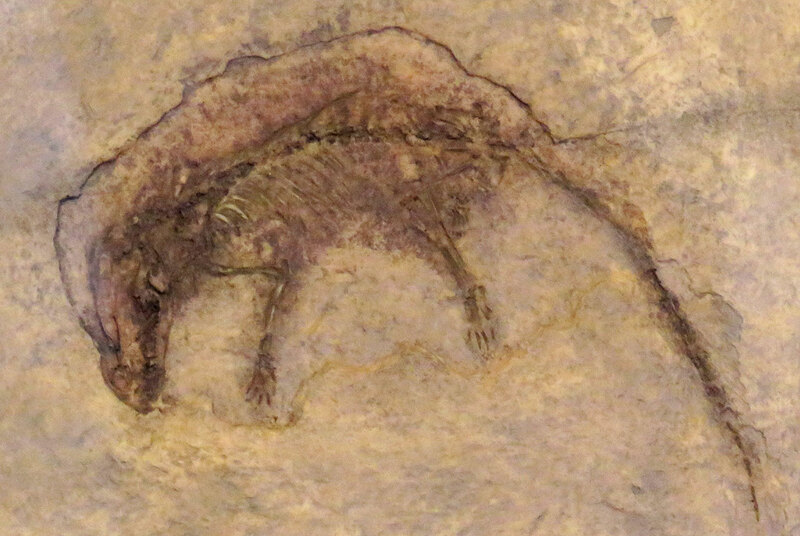 The fossils appear to be from Green River Formation and dates to the Eocene Epoch of the Paleogene Period. Image taken July 2018. 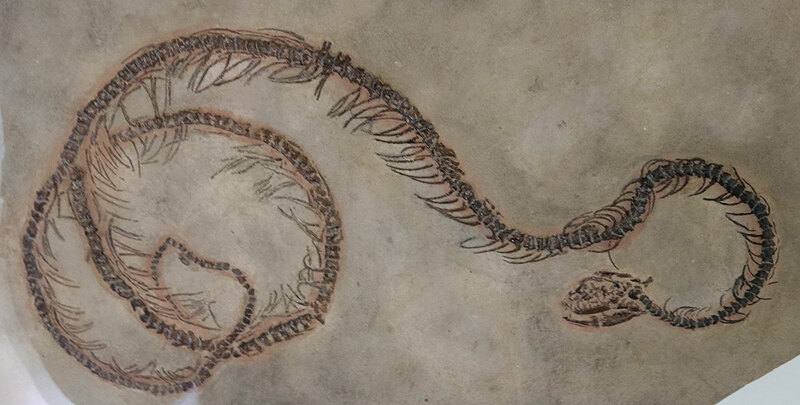 Boavus idelmani snake cast fossil ("boa ancestor") displayed at the American Museum of Natural History in New York City, USA. It was found in Wyoming, USA. The fossil appears to be from Green River Formation, Fossil Butte Member and dates to the Eocene Epoch of the Paleogene Period. 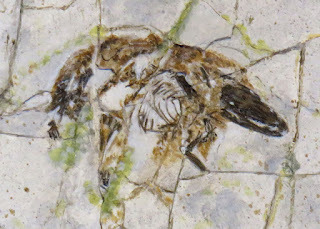 Image taken July 2018. Learn more at the Fossil Butte National Monument Wyoming web site. 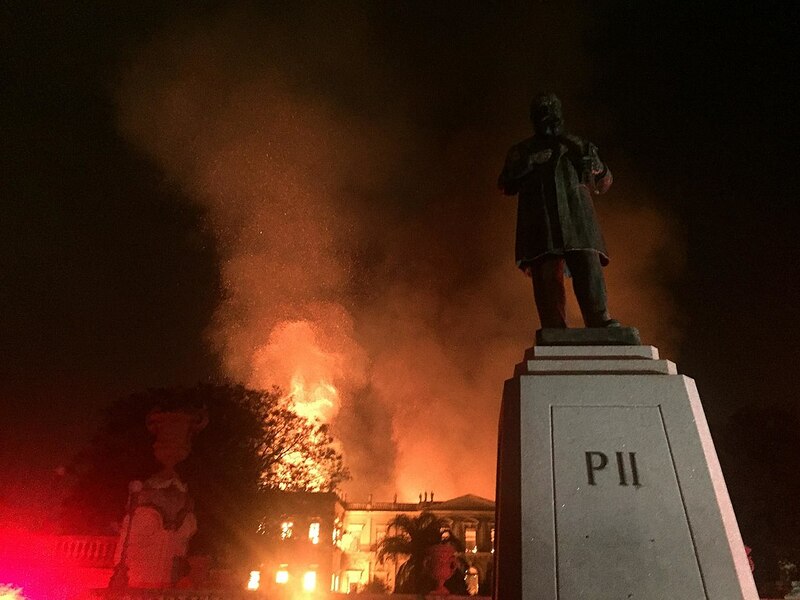 Sad news in that the 200 year old National Museum of Brazil caught fire on September 2, 2018. 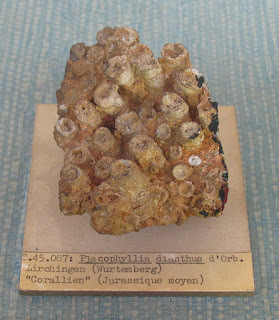 The museum has over 20 million items in its archive including geological and fossil specimens. 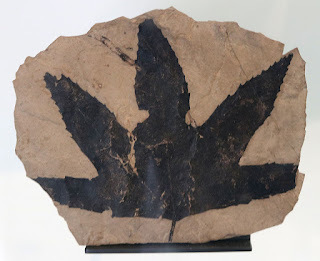 Hopefully, they had some digital records and images of the important items in the collection. This is the reason I am such a big proponent of digitizing collections in case something like this happens. Unfortunately, this museum suffered from funding issues which appears why they did not have a sprinkler system so I am guessing no budget for digital records either. Locally, Indiana lost quite a large collection of books and specimens in an 1883 fire. Indiana University had a 3 story building burn down due to a lightning strike. The building housed 14,000 volumes and 85,000 specimens in Owen Cabinet (named for geologists Richard and David Dale Owen). Learn more about this fire at this link. Oddly, a partial skeleton of a giant ground sloth Megalonyx jeffersonii survived but where it is today is not known (except for four of its bones ended up in the Indiana State Museum). Learn more at this link.